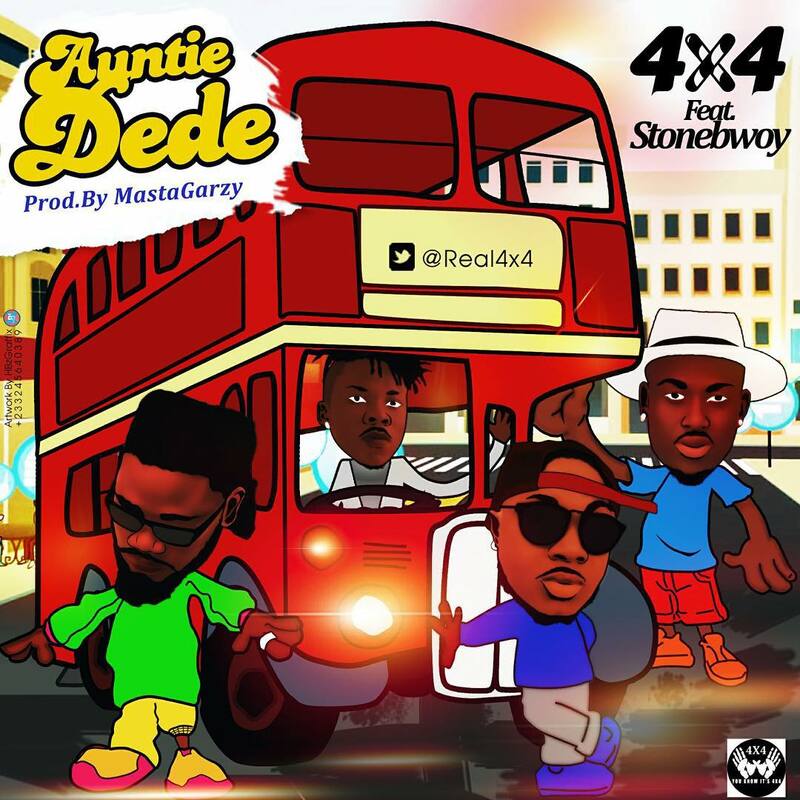 4X4 teamed up with award-winning dancehall artiste Stonebwoy for the song ‘Auntie Dede’. It about a man that misses his lover who lives in London and he wonders when he would finally get a visa from the UK embassy to see her. The song is produced by Masta Garzy, one of the most popular producers based in Ghana.